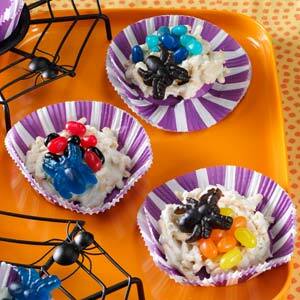 It’s the time of year when we like to make sweet treats for Halloween. Some of them can get quite complicated so finding easy and delicious treats is a plus. We found a couple you might like to try for your Halloween festivities this year. Best Whoopie Pies – ever! You’ll be mixing up all of our favorite Fall flavors. The kitchen will smell great as you mix up some pumpkin, brown sugar, vanilla, cinnamon, and ginger to make the cake portion of these Halloween treats. The creamy filling doesn’t take long either. 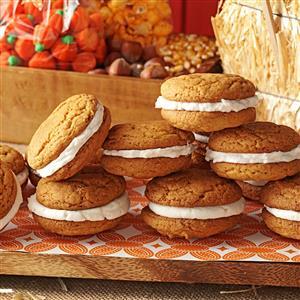 You can find the recipe at Taste of Home Pumpkin Whoopie Pies. We hope you’ll try these recipes for Halloween this year. It’s a fun time to be in the kitchen making something the family will love.